Use mathematics to find a solution to the problem. List: Use point form. Explain: Use words and symbols to make your solution clear. Justify: Give reasons and evidence to show your answer is correct. 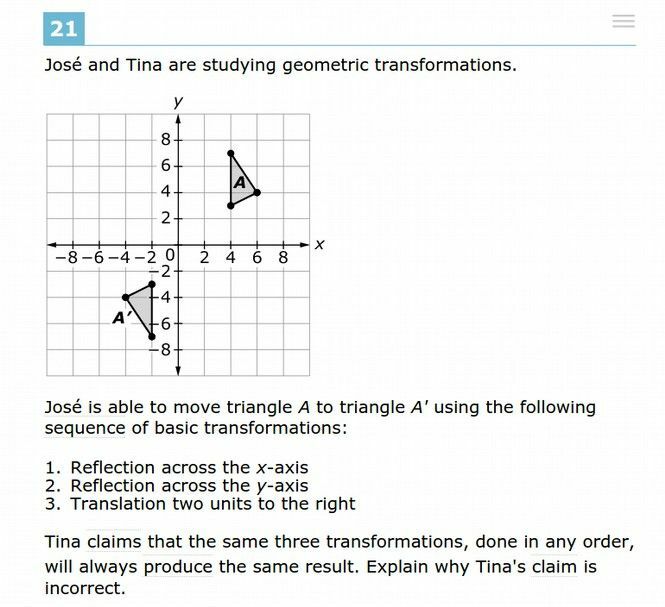 Show your work: Record all calculations and all the steps you went through to get your answer. You may use words, numbers, graphs, diagrams, symbols and/or charts. Multiple-Choice Grade 9... Vol. 1 Someone said, "A picture is worth a thousand words." Turning the words of a problem into a picture or a diagram can help you "see" the problem.